Help Fight Patent Bullying From Shazam — Spread This Code! Enterprise Strategy Group senior analyst Terri McClure wonders why NetApp didn’t hit Nexenta with the same letter since Nexenta supplies its ZFS software to multiple storage vendors. “If NetApp did it would make sense – stop a number of vendors instead of just one. It certainly makes you wonder why they would single out Coraid, people could read into this that NetApp sees Coraid as a threat. Coraid’s NAS product is pretty new but the underlying platform has been on the market a while and is solid, at a really aggressive price point,” said McClure. “[NetApp] just spent a couple of hundred dollars in lawyer’s fees and took a competitor out of the market. Quick and easy, but a little disappointing, too. At the end of the day, ZFS is open source, and while there is no way to predict how the settlement talks between Oracle and NetApp will turn out, you can’t really un-open source ZFS,” she said. There’s still no word from NetApp on the matter. The “patent troll, NTP, is back, buoyed dosh from RIM,” says Glyn Moody, who found this new article. NTP, a patent-holding company best known for prying a settlement of more than $600 million from the maker of the BlackBerry, is now suing the other big names in the smartphone industry: Apple, Google, Microsoft, HTC, LG and Motorola, writes The New York Times’s Steve Lohr. The suits, filed late Thursday afternoon in federal district court in Richmond, Va., charge that the cellphone e-mail systems of those companies are illegally using NTP’s patented technology. Two readers urged us to make a mirror just in case (other people ought to mirror this too, in order to ensure that Shazam will lose hope of successfully censoring perfectly legal Dutch code). 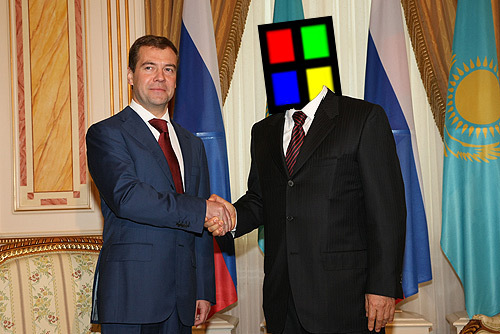 Microsoft has signed a deal to open its Windows 7 source code up to the Russian intelligence services. This will make the secret flaws easier to exploit, which in turn puts at risk everything that uses or relies on Windows, even patients in the UK (due to the Microsoft-NHS relationship, which may be costing billions). It’s similar over at the MSBBC, whose online presence is fortunately being reduced (what’s less fortunate is that Murdoch is trying to take over more of the BBC’s competition in the UK). The BBC’s governing body has essentially approved a 25 percent cut in the broadcaster’s online budget. The BBC Trust said it endorsed the “concept” of the cuts, which will see the broadcaster halve the number of pages running on the extensive www.bbc.co.uk site, and could see up to a quarter of online staff lose their jobs. It said it was now awaiting more specific plans. The news comes as the Trust rejected plans to close BBC 6 Music, an eagerly-supported specialist music radio station. There are 29.5 million unique UK visitors every week to the BBC website. BBC director general Mark Thompson said in March that the broadcaster needed to focus on quality instead of attempting “to do everything”, but he insisted the website plans did not mark a “retreat from digital”. Silverlight is missing Linux support, so people using Linux machine cannot run it on their machines and will have to stick to Windows and MAC OS. Shivraj then takes a cheap shot at GNU/Linux (utter lies). Moonlight is hardly a substitute by the way. If killing the KIN after just two months was bad for Microsoft, what happened next is far worse – especially for its corporate captains. This single act has blown the lid off what appears to be smoldering frustrations inside the consumer products group and divisions between that group and the rest of the company. Allegations have been flying of autocratic leadership, incompetence, ignorance of what it takes to build consumer products, and an uninvolved and indifferent senior management. These have mingled with demands that heads must roll in the wake of KIN’s death. The shouts and claims have been posted on the Mini Microsoft blog, a notoriously reliable source of insider information from anonymous company insiders. Some have attempted to mitigate the failure of KIN. While some reports claim just 500 KINs were sold, others have claimed the number is more than 8,000. But how many phones are in circulation is irrelevant: the phone was killed after just six weeks, having cost Microsoft “billions”. For decades Microsoft has lived by Fear, Uncertainty and Doubt (FUD). Now, in an ironic twist of fate they’re being strangled with it, and by a Linux distro. That’s what Chrome OS is, you know. A Linux. Google’s strategy has always been to use Chrome against Microsoft’s desktop monopoly, and through a series of selective leaks that strategy appears to be coming together. That is precisely what Google is engaged in here. And what’s the headline from Redmond while all this is going on? Lay-offs. Blankenhorn also criticises Google for not yet deviating from Microsoft’s enablement of tyranny [1, 2]. Forget the fig leaf of the Hong Kong work-around. China beat down Google, because Google got no support from its government for uncensored search. Google could do more to suppress a suppressive regime, but Google is a business. That whole scene it made in China was a good PR move. Now, I don’t take web stats for gospel especially when there is clear bias in favour of that other OS and Apple, but if consistently calculated the same way each time, I find them useful indicators of trends. 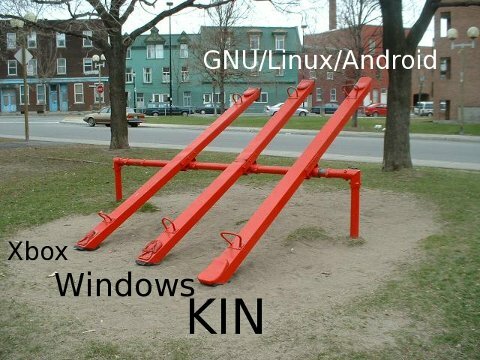 Clearly the share of that other OS is shrinking and much of the fall-off of XP is going to GNU/Linux and MacOS. From May to June, W3Schools shows XP down 0.7% of share and GNU/Linux up 0.3% and MacOS up 0.1%. Veitkus, who was drafted into EMEA in 2007 to sort out its problematic channel, has spent the last three years re-organising its programmes and distribution. “It was a bit crazy,” he comments on the 13 distributors the firm had in the UK when he arrived. Many had been added as the acquisition-hungry vendor had increased its product footprint, but had remained stagnant. “We cut a lot of dead wood…and we spend a lot of time and effort to ensure that the remaining partners had a strong economic reason for being with Novell,” says Veitkus. The cull resulted in around a third of the 2000 plus EMEA partners leaving Novell, and distributors rationalised down to just five including Magirus, Bell Micro, Avnet and ECS Arrow. However, in the last 12 months, Novell has added a further 479 partners across the region as demand for its products has grown. GoMo News recalls an early rival to Novell’s NetWare called Waterloo Port, for example. Plus, wasn’t the University of Waterloo heavily involved in the early development of Linux? 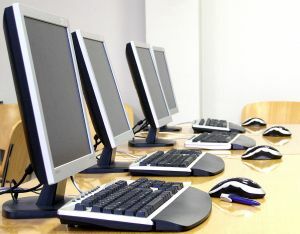 The veteran British online conferencing system, CIX www.cixonline.com, used its software. Decades later Novell is still stuck with a dependency on NetWare. And based on other news (mentioned in [1, 2] and also yesterday), Novell and SCO may continue to look decades back into ownership of UNIX. Correction of external article: In the article cited above there is an error. Dj Walker-Morgan says that CoSy, as used by CIX, was from the University of Guelph, not Waterloo. MICROSOFT need no longer pretend to be separate from projects like Mono and Moonlight (or "Microsoft Moonlight" as its joint Web site calls it). According to Microsoft MVP Miguel de Icaza, Microsoft MS-PL-licensed code is now coming to Mono. Fusion at last. Over the past couple of years Microsoft has been open sourcing some key .NET libraries under the MS-PL or Apache 2 license. By splitting the rendering framework into composite and opengl plugins, Compiz can be used as the known compositing window manager or as a backend for other 3D desktop programs such XRender or Clutter. Another significant change, decoration reparenting, will allow Compiz to run with decorations as non-compositing when used with the revamped GNOME or KDE Window Decorators. Integration with QT main loop and the creation of a KApplication provides better integration with KDE. A new DBus plugin will now use the screen number to identify the Compiz instance. A major redraw bug that caused ripping or skips in rendering was also fixed. Linux is growing in popularity for many reasons, and as an operating system it is many things to many people. While we all have our own reasons for liking Linux and open source, here are my top five (and a half!) reasons why, as a power user, I prefer to use Linux. You’ll notice that these reasons are quite a bit different from why I think Ubuntu makes a great operating system for Mom, which just goes to show how versatile Linux can be. Linux and the GNU project’s software was developed to offer an alternative to proprietary software. It is a system of open source and distributed under the GPL, i.e. anybody can get it, make changes and redistribute it. Although there are paid versions of Linux, but the vast majority of distributions is completely free. You can download the ISO images at no cost. Additionally, you can make changes to adapt it to suit your needs. Above all, you have the freedom to pass a free Linux distribution to your friends without committing software piracy. Windows is a closed source and proprietary software. The price for the acquisition of Windows operating system is already something that one could consider prohibitively expensive and complicated for a personal computer user. In this episode: The first Mozilla 4 beta is here while Nokia is moving rapidly forward with MeeGo for mobiles. We report back on our You Dare Us challenge and hear Paul tackle Python. AskoziaPBX is a complete telephone system. It can speak to nearly any telephony technology in the world and is configured via a highly intuitive WebGUI. Designed to run on low-resource systems. On this episode of Linux Outlaws: A big announcement (kind of), ASCAP declares war on Creative Commons, Bilski comes down, new Fedora project leader, Microsoft kills Kin and Apple drops the ball on the iPhone 4. What Font To Use For Your Ubuntu Desktop? Try These! You won’t need to tile windows location by yourself any more, with this simple applet you can simply Tile windows in many ways to get best view for active windows. I usually use tile mode to easily compare between to windows and included content inside both, also you can use it to simply drag and drop element from window to another. All of these games are cross-platform, so you can enjoy them on other operating system as well. Theres’ variety to be had, too. Single player, multiplayer, at home or online, role playing, classic strategy, puzzle solving. I have not intended to have balance in this list, but the games kind of naturally filled the right spots. I recommend you start with demos and trials and see what gives. I believe you will have found a new collection of great items to play and explore. Along with the freeware collection, you have the rest of 2010 to get convinced in my choices. You won’t be disappointed. BlankOn is an Ubuntu-based distribution developed by the Indonesian Linux Mover Foundation and BlankOn developer team. Indonesians are known to have spirit to share, and eager to help each other. Hence, BlankOn Developers believe, that it is their part of identity, to be more active and involved in Free/Open Source Software activities. Nonprofit organization One Laptop Per Child on Thursday said it is adding a multitouch screen to the upcoming XO-1.75 laptop and is modifying software to take advantage of the new hardware. The XO-1.75 with a touch-sensitive 8.9-inch screen will start shipping next year. The laptop will run on an Arm processor and is the successor to the current XO-1.5 laptop, which runs on a Via x86 processor. OLPC will also add a multitouch screen on the next-generation XO-3 tablet, which is due to ship in 2012. Customers could be interested in buying XO-1.75 laptops as low-power replacements to existing XO-1 machines, which don’t have touch capabilities, said Chris Ball, lead software engineer for OLPC, in an e-mail. I saw an announcement the other day about a development OS release (os16) for the OLPC XO-1 laptop that basically brings it into parity with the release on the XO-1.5. I downloaded it, got a developer key, unlocked an OLPC, and figured out how to install it. Once you become familiar with the process, it is actually easy and straight forward. I even played with the FORTH-based firmware for the first time. Jack Wallen itemizes the improvements that have made him a Fedora fan again. What I expected to happen some time ago, is finally becoming reality: Debian is now my favourite distribution for desktop systems. The most exciting thing is seeing the traction Ubuntu has as a mainstream choice for consumers. The alignment between Ubuntu, the community, developers and the hardware ecosystem is really coming into its own at this point. In my new role I am involved in more strategic discussions with our partners and customers, and the road ahead is looking very exciting. In parallel with the rapid development of mobile computing, various Linux-based OS pop up one after another—from Android, LiMo, MeeGo, Ubuntu to webOS. Huge inventories of netbooks resulted because people wanted cheaper netbooks. Those inventories are now cleared but OEMs are taking a wait-and-see attitude before offering for sale the latest Wintel systems. Even the $11 price increase for the latest Atom is seen as too much. Wouldn’t a $50 reduction for using GNU/Linux look good about now? Wouldn’t a $50 reduction for using ARM look good about now? Kirk Wylie, CEO of London based startup OpenGamma, has announced the company has come out of stealth mode and in the coming months, will be presenting its financial analytics platform to the world. The company is developing a common infrastructure and applications for financial services firms. The platform unifies batch and live calculations to create more consistency in risk and analytics calculations and is designed to be the core technology in batch risk analysis, commercial trading systems, bespoke trading systems and event driven alerting systems. I want, I really want Firefox to become a top-of-the-line Web browser again. It was Firefox, after all, that broke IE’s (Internet Explorer) strangle-hold on Web browsers. Even Microsoft owes Firefox some gratitude. If Firefox hadn’t pushed Microsoft into making IE into a decent Web browser, many of us might still be stuck with crapware like IE 6. Unfortunately, I’m not sure Firefox 4 is going to get Firefox back into competition with IE 8, much less, what I see as today’s leading Web browser, Google’s Chrome 5. IT directors across the country are implementing open source software in their K-12 districts–a decision often prompted by the improving quality of open source options, as well as cost savings. Selection of OSS is sometimes a value-added option when the commercial version would never be financially feasible. 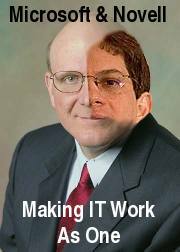 In other cases, IT directors are replacing existing solutions with OSS, instigated by license agreements that are ending, the need to refurbish old computers, or the purchase of netbooks. While there are no recent surveys to measure use of open source software (OSS), anecdotal evidence reflects growing interest in–and use of–alternatives to proprietary software. A few years ago, an OSS talk at the National Educational computing Conference (NECC; now ISTE) would draw about five attendees, and there would be just a “smattering of people” in the open source lab. Now the rooms are full, said Alex Inman, director of technology for Whitfield School in St. Louis, MO. Do customers want open core? There is renewed and meaningful discussion going about open core with several good insights and arguments: Simon Phipps, Mark Radcliffe, Stephen O’Grady and our own Matt Aslett to name a few. FreeBSD 8.1 is slated to be released this month as the first significant update to FreeBSD since the rollout of the 8.0 release last November. With the second release candidate of FreeBSD 8.1 having just been made available a few days back, we have conducted a set of tests comparing the performance of FreeBSD 8.1 RC2 versus FreeBSD 8.0 and an Ubuntu 10.10 development snapshot. Could Free Software Exist Without Copyright? A couple of days ago, I was writing about how Richard Stallman’s GNU GPL uses copyright as a way of ensuring that licensees share code that they distribute – because if they don’t, they are breaching the GPL, and therefore lose their protection against claims of copyright infringement. That’s all very well, but as many people have pointed out, this does result in the paradoxical situation that the GNU GPL actually *depends* on copyright, an intellectual monopoly, in order to spread intellectual freedom. Moreover, it seems to doom free software into a kind of symbiosis with copyright, forcing it to remain a supporter of that monopoly, since without it, the approach used to make the GPL so powerful would not work. This is obviously a slightly troubling prospect, so a little while ago I thought I’d raise the point with RMS himself, since he was bound to be aware of the issue, and presumably had a solution (I hoped). This issue has come up a few times in recent months, so I thought it might be worth publishing his answers to my questions to shed some light on this important topic. The Samba team isn’t expecting to release Samba 4 until the first half of 2011 (optimistically) but work on support for Microsoft’s SMB2 — and older SMB/CIFS — has moved ahead quite nicely. Samba leader Jeremy Allison said support for SMB2 — which was introduced in the Windows Vista client — is finished and will be made available for testing in the next significant Samba release. Unfortunately a rather bad bug sneaked into GIMP 2.6.9, so here’s another release in the stable GIMP 2.6 series to fix this issue. GNU Dico is an extensible modular dictionary server with a set of database modules, a command line client utility and a web interface. U.K. government staff suggested replacing Microsoft Corp. operating systems on computers with free alternatives in response to a call for ideas for Prime Minister David Cameron’s cost-cutting drive. Cameron asked the 600,000 government workers last month to make suggestions on saving money as his administration seeks to cut Britain’s record budget deficit. Chancellor of the Exchequer George Osborne today published a sample of the 56,000 submitted ideas, which including abandoning Microsoft, switching office lights off and centralizing stationery procurement. “In terms of spending less, what about migrating the whole of government (the NHS, education etc.) from Microsoft products to Linux and open-source software like Openoffice,” read one of the suggestions displayed on the Treasury website. Two of the 31 listed proposals, whose authors were not named, suggested dropping Redmond, Washington-based Microsoft. Open-source software such as Linux and Openoffice offers free or very cheap alternatives to Microsoft’s Windows and Office, the world’s most popular operating system and productivity software. Osborne said before the Conservatives won power in the May 6 election that he favored the idea. Imagine a country that has one of the best Internet infrastructures in the world, and yet its government effectively forbids the use of GNU/Linux through a requirement that everyone employ a decade-old Windows-only technology for many key online transactions. That country is South Korea, where 1 Gbits/second Internet connections are planned for 2012; and that Windows-only technology is ActiveX. Either way, it’s great news for the long-suffering South Koreans, who finally get to choose which technology they use in their daily lives – after more than a decade of enforced Internet Explorer and Windows use. It’s also great news for open source, which gets a chance to compete on a level playing field – something that Microsoft keeps calling for whenever the EU proposes favouring open source, and yet somehow never mentions when that field is already steeply tilted in its own favour, as has been the case in South Korea. That new opportunity is important, because of South Korea’s advanced Internet infrastructure. It means that the open source community there can now work on creating advanced applications that explore the possibilities of that kind of bandwidth, and that can be used by South Korean businesses and citizens in their everyday lives – something that hitherto has been impossible. It would be nice to think this may lead to a sudden outpouring of free software creativity, but the reality is probably that it will take a good many years to recover from what was probably the worst Microsoft monoculture on the planet. This could get very messy, very quickly. Multiple reports have emerged overnight that the UK government is to consult the public over how to cut public spending via a dedicated Facebook page. I had been reading about the Whole of Government Accounts (WGA) — a project to provide a really good detailed overview of government finances (more information in this previous post). I was therefore expecting to see the local council assets and accruals data of the sort that is recorded in the L-packs as well as central government spending captured annually in the C-packs. But it wasn’t there. The new fund will support projects in specific communities—it over the next year to help expand and enhance the geographic data available to developers, designers and other users as part of AOL’s commitment to open-source technology. I do not think that CC licences, or any licence to that effect, requires a court decision in order to be valid. There are thousands and thousands of commercial End-User Licence Agreements that are never tested in court, yet they manage to have legal effects and are usually followed to the letter by its users without producing a conflict. True, many licences contain clauses that when analysed by legal practitioners and scholars may seem doubtful. But even then a court case is required to declare the clauses invalid. One could say that a licence is valid until proven otherwise. This standard specifies the characteristics of an XML-based application-independent and platform-independent digital document file format, as well as the characteristics of software applications which read, write and process such documents. This standard is applicable to document authoring, editing, viewing, exchange and archiving, including text documents, spreadsheets, presentation graphics, drawings, charts and similar documents commonly used by personal productivity software applications. THEY may not have the name recognition of a Google or a Yahoo!, but they can claim to belong in the same league. The websites of Digital Sky Technologies (DST) account for more than 70% of page-views on the Russian-language internet. Naspers is Africa’s biggest media group, both offline and online. And Tencent is China’s largest internet company by market capitalisation—and the third-largest in the world. An experimental solar-powered plane landed safely Thursday after completing its first 24-hour test flight, proving that the aircraft can collect enough energy from the sun during the day to stay aloft all night. More than 21,000 fines of between £60 and £120 were issued for motoring offences such as stopping to drop off family and friends. Neil Bennett, 60, from Blandfield Road in Balham, was caught twice in the same night in Grant Road behind Clapham Junction when he went to collect someone. He said: “For a total of 40 seconds outside the station, the fine was £240. I didn’t realise I wasn’t allowed to do it, there wasn’t adequate signage. Developer Sean O’Neill, famous in cryptographic circles for designing the EnRUPT hash algorithm, has released an open source Skype library that emulates the modified version of the RC4 encryption algorithm used by Skype. Skype chose to modify key generation for the stream cipher to make its product incompatible with other IM clients and ensure that it remained a closed system. However, initial analysis suggests that O’Neill’s publication does not mean that Skype’s encryption can be considered ‘cracked’. Further study will be needed to determine whether key expansion and initialisation vector generation are secure. More than one-in-four of all flowering plants are under threat of extinction according to the latest report to confirm the ongoing destruction of much of the natural world by human activity. As a result, many of nature’s most colourful specimens could be lost to the world before scientists even discover them, claims the research, published today in the journal Proceedings of the Royal Society B. My imagination was ignited a few weeks ago when I came across a post on BLDGBLOG about crypto-forests: forgotten patches of urban land where nature has taken its course. What we call weeds are actually demonstrations of the irrepressible force of nature–plants overtaking urban areas designed to keep nature at bay. BLDGBLOG’s Geoff Manaugh describes crypto-forests quite lyrically: “Weed patches in which the earliest emergent traces of a thicket can be found; clusters of trees growing semi-feral on the edges of railroad yards; forgotten courtyards sprouting with random saplings unplanted by any hand.” It’s reminiscent of the scenario David Byrne vividly predicted in the Talking Heads song “Nothing But Flowers,” but smaller in scope and without the apocalypse. Heat waves like the one now roasting the Eastern Seaboard are likely to become commonplace over the next 30 years, say scientists at Stanford University – even if global temperatures rise by only one degree Celcius. Researchers have discovered two previously unknown species of bottom-dwelling fish in the Gulf of Mexico, living right in the area affected by the BP oil spill. Researchers identified new species of pancake batfishes, a flat fish rarely seen because of the dark depths they favor. They are named for the clumsy way they “walk” along the sea bottom, like a bat crawling. A civil lawsuit brought by federal regulators against a financial adviser suspected of stealing millions of dollars from celebrity clients was temporarily halted on Thursday by a federal judge in Manhattan who said a criminal case against the adviser should be dispensed with first. More than 450,000 people filed new claims for unemployment benefits last week, as joblessness continued to hamper the U.S. economy and other new economic indicators reflected mixed signs about the recovery. First-time requests for jobless aid dropped by 21,000 to a seasonally adjusted 454,000, the Labor Department said Thursday. The decline takes claims to their lowest level since early May, erasing the increases of the last two months. The catastrophic economic downturn that began two years ago was supposed to shake up the global economy, ending an era in which Americans consumed too much and saved and exported too little. The International Monetary Fund is calling for the United States to make a stronger effort to curb its budget deficits. There’s no indication, at this point, that any sort of quid pro quo took place, nor is Issa mentioned directly in the suit. But a three million dollar windfall for a congressman does seem like the sort of scandal in which Issa would usually take a keen interest. In addition, CityBeat goes on to detail Issa’s extensive investments in Goldman Sachs’ High Yield Fund and a potential conflict of interest that may have occurred when he launched an investigation against the Securities and Exchange Commission (SEC) for the timing of their fraud lawsuit against Goldman. Is Goldman Sachs getting a bad rap? Goldman was among the most aggressive players on Wall Street in marking down the value of mortgage bonds as the financial crisis brewed, and ultimately benefited in protecting itself from the housing downfall. A.I.G., on the other hand, had a large positive bet on housing through the billions of dollars of mortgage securities that it insured for Goldman and other banks. The bank lobbyists, it turns out, missed one. They and their congressional allies were able to gut the Volcker Rule, the Lincoln Amendment, and almost everything else that could have had a meaningful effect on the industry. The case, in which the Internet Technologies Association argues that the restrictions illegally discriminate against millions of users, is the latest front in an ongoing dispute that raises questions about free speech in a country attempting to join the EU. Communications Minister Stephen Conroy this morning announced a number of wide-ranging modifications to the Government’s controversial mandatory internet filtering policy, including a delay of at least a year to the project while the state and Federal governments review the Refused Classification category of content which the filter would block. France and the Netherlands called Thursday for international guidelines to prevent private firms from exporting high-tech equipment that could be used for Internet censorship. A review of the Kenyan constitution has been undergoing for a long time, and only now has a final draft proposal for a new constitution been released. But, despite the stated aims of freedom, democracy, participation and the free exchange of ideas (pdf), the released draft seems far from that ideal: Kenya is taking the Euro-American route to heavier information restrictions, including more copyright, more patents and more private knowledge monopolies, instead of keeping their legal environment open to creativity, participation and sharing. Intellectual property law is still based in the nation state, but is very much shaped globally. A reform in one part of the world does not go without consequences in other parts, but, contrary to what some may imagine, the effects are rarely beneficial to either party. An approval of the intellectual property rights provisions in the Kenyan constitution could come to be an example of that. While India’s Right To Information laws have received widespread acclaim in the media for ousting bureaucrats in what appears to be a revolution in local government accountability, less conspicuous reforms such as the low costs associated with processing requests in Mexico deserve equal attention. In the day-to-day implementation of an effective access to information regime, it’s often the small things that make a difference. July 10, 2010 marks EFF’s 20th anniversary! To thank you for your support over these two decades, please enjoy this new animation created especially for us by celebrated cartoonist and free culture activist Nina Paley. This short cartoon highlights some of the reasons why EFF is here. If you follow the entertainment business at all, you’re probably well aware of “Hollywood accounting,” whereby very, very, very few entertainment products are technically “profitable,” even as they earn studios millions of dollars. A couple months ago, the Planet Money folks did a great episode explaining how this works in very simple terms. The really, really, really simplified version is that Hollywood sets up a separate corporation for each movie with the intent that this corporation will take on losses. The studio then charges the “film corporation” a huge fee (which creates a large part of the “expense” that leads to the loss). The end result is that the studio still rakes in the cash, but for accounting purposes the film is a money “loser” — which matters quite a bit for anyone who is supposed to get a cut of any profits. I still think that if something is available for sale legitimately, you should pay for it (books, music, photos, movies, sheet music). A lot of the Bach, Scriabin and Rachmaninoff in Mr. Hawley’s collection is certainly available, and handing it to friends on a flash drive is absolutely depriving the publishers of their revenue. True, the composers are long dead, but editing and publishing sheet music is still worth something. It’s those obscure, out-of-print, not-available-anywhere items in his collection that make a tougher case. How many hours are you obligated to research and dig just to find out if something is available for sale? In this case, the barriers to a legitimate purchase are ridiculously high. Isn’t digital piracy justified in that case? The Greens/ EFA group yesterday adopted an urgent appeal for transparency in the negotiations on the Anti-Counterfeiting Trade Agreement (ACTA). With this action, the Greens/EFA protest against the decision by ACTA negotiators to keep a new version of the draft treaty secret after the 9th negotiation round concluded in Switzerland on 1 July. This decision clearly ignores the European Parliament’s Resolution adopted by a grand majority in March 2010. The Resolution clearly carried an expectation of a continuous policy of transparency. But instead, there was a one-time release of a draft text in April designed as a piecemeal appeasement of the parliament, and then again after a complete lack of transparency. The Commission’s flagrant disregard for the demands of the Parliament is completely unacceptable. The great and the good of the internet world turned out in force last night at the London Marriott, DJed and evening gowned, to learn who had won prizes at the ISPA annual awards dinner. What a difference a year makes: last year the talk was all around safety, particularly for children. Last night the focus had shifted, with digital economy and the right way to fund creativity on the net very much to the fore. IN THE previous post we showed how software patents are being used to suppress innocent developers. Based on this new report, Bosch is also patenting software (not the Bosch which is based in Germany). The software’s patent-pending digital signal processing technology enhances the performance of receivers when interpreting these signals by more than 75 percent. MPEG-LA patents are US patents, so the problem can also be resolved by ending software patents in the US — a task which SCOTUS neglects to achieve for the time being. My friend Sawyer was as disappointed in the outcome of Bilski as he was in the ending to LOST. 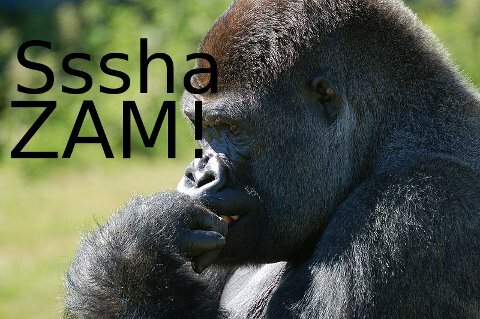 In fact, he asked if I’d change his pseudonym to Joseph Adama of Caprica but I vetoed this over extreme nerdiness. Nonetheless Sawyer let loose on Bilski and helps clarify both his perspective on why the Supreme Court took such a milquetoast approach as well as what one of the unintended consequences of their action – or lack thereof – will be. And for those of you who have forgotten Sawyer’s background, he’s a patent attorney that is channeling his opinion through me. And we’ve been discussing setting up a very large data center on an island somewhere in the middle of the Pacific Ocean. The U.S. Supreme Court just blinked. In the landmark Bilski v. Kappos decision announced yesterday, the Court had a chance to right a patent wrong. It didn’t. Instead, in a cautious and internally contradictory decision, it further fuzzified the mess that is the U.S. patent system — and it will have sad consequences for innovation in this country. It was terrible timing for a loss of legal nerve. Far from encouraging innovation and advancement in the “useful arts,” as the Constitution originally envisioned and Congress wanted, software and business method patents have become a quasi-legal poison pill. Sometime it’s from patents obtained years after application via circuitous paths and bankrupt companies, and sometimes it’s straight-up planned extortion. Either way, these “patent trolls” lurk in the shadows, waiting for someone to unknowingly infringe. Then they sue in patent-plaintiff-friendly jurisdictions (of which there are ranked lists – we kid you not), forcing defendants, often small, unsophisticated companies, to settle rather than face the cost and uncertainty that defines litigating a patent case against a well-capitalized troll. The costs associated with this are immense, as is the innovation penalty. Software companies now must file defensive patents just to make sure that they are not later submarined by useless patents originating with patent attorneys themselves or at failed software companies. We have officially exited economics and entered Kafka’s courts. Under the machine-or-transformation test, a business method (read as software) must be tied to a particular machine, rather than run on a general machine like a computer, or transform something from one state into another. The subject of the transformation can be data, but, as you might expect, transformation can largely be in the eye of the beholder. The PTO has faced a major management problem for years: the flow of patents in vastly exceeds its capacity to process them. Additional money and headcount haven’t really helped, so over the last few years, the PTO seemed to try raising hurdles to discourage applications. Given the volume of software patent applications, reducing them would clearly help slow the incoming volume, which is something the patent office would love to do. Yesterday we mentioned the attack of NetApp against the California-based Coraid. What was Coraid’s offence? Distributing free/open source software (ZFS), apparently. Here is a new article that’s dedicated to the subject. Storage startup Coraid may face legal action from NetApp if the company does not cease plans to sell the Coraid EtherDrive Z-Series NAS appliance based on the open-source Zettabyte File System (ZFS). Coraid issued a letter to its customers this morning in which CEO Kevin Brown announced the company has temporarily suspended the general availability of the EtherDrive Z-Series. Software patents have become suppressors of software freedom. They need to be stopped, or at least their expansion ought to be stopped. A predominantly US-based lobby is trying to spread these patents to other countries. Here is the latest report which shows the process being politicised. The software patent debate is opening old sores associated with the change of government and government’s interface with the ICT industry. A question that runs through or subtly underlies comments on the controversy in several online forums, is to what extent the NZICT Group represents New Zealand’s ICT industry and customers. The Labour-led government set up the Digital Development Council (DDC) and Digital Development Forum (DDF) as an umbrella for ICT developer and user communities – TUANZ, InternetNZ, the NZ Computer Society and so on.